When I want a muffin, I’m very specific. 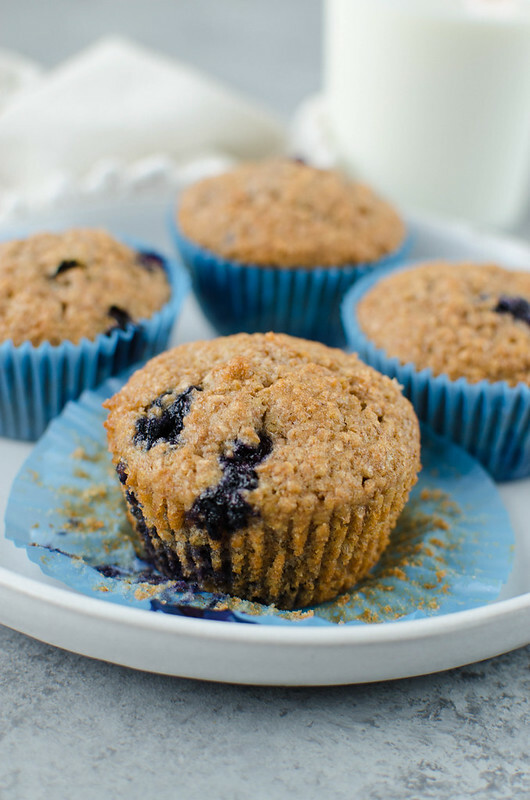 I either want a really light and fluffy blueberry muffin (always blueberry) or something with a bunch of texture, like a bran muffin. 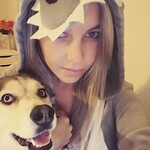 No other muffins exist in my world. 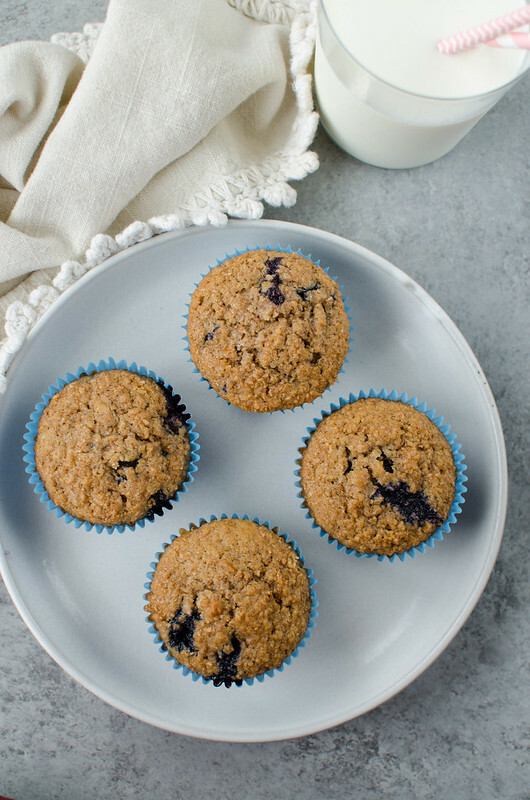 These Blueberry Bran Muffins are the current weekend breakfast at my house. I’ve made several batches in the last month because everyone loves them. 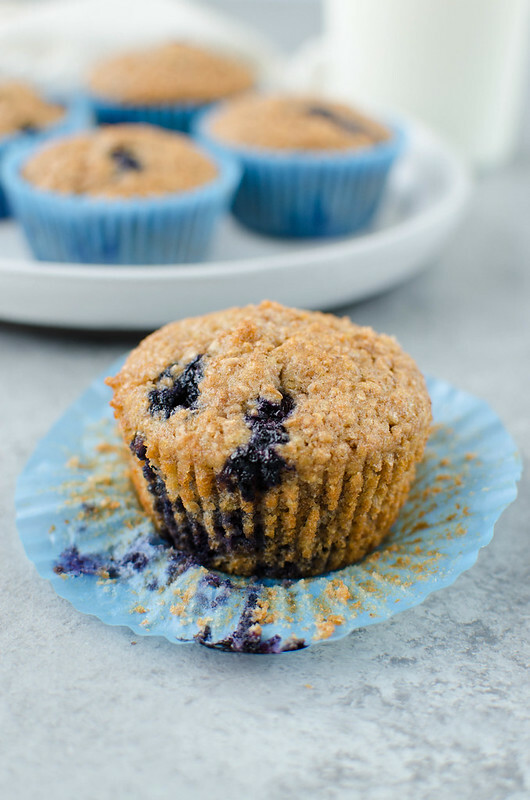 I know when you think of bran muffins, you probably think of the ones at Starbucks that you could actually kill someone with if you threw it hard enough but these aren’t like that at all. The wheat bran gives the best texture without making them dense. Plus, the blueberries are so juicy and delicious right now. I couldn’t find wheat bran at either of my big grocery stores but found a giant bag in the bulk section of Natural Grocers for $.99. So check your health food store. If you still can’t find it, you can always order it. Strawberry Chocolate Chip Muffins – fresh strawberry muffins made with Greek yogurt and mini chocolate chips. Pineapple Upside Down Muffins – Like a pineapple upside down cake in muffin form! Pineapple muffins with brown sugar and a cherry on top. Preheat oven to 350F. 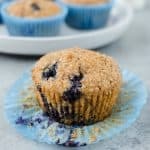 Line 12 regular sized muffin cups with liners. In the bowl of a stand mixer fitted with a paddle attachment, beat together softened butter and sugar until light and fluff. Add yogurt and eggs, one at a time, and vanilla, beating after each addition. In a separate mixing bowl, whisk together wheat bran, flour, baking powder, baking soda, cinnamon, and salt to remove any lumps. Add the flour mixture to the butter mixture and beat until just combined. Use a rubber spatula to gently fold in blueberries. Bake 25 - 28 minutes, or until golden brown and a toothpick inserted into the center of a muffin comes out clean. Cool on wire racks.